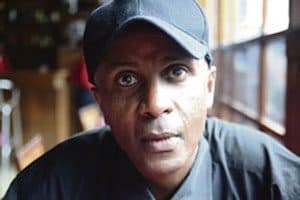 Eskinder Nega at 2018 PEN America Literary Gala in NYC (Video) – Satenaw Ethioopian News & Breaking News: Your right to know! Eskinder Nega, a journalist and blogger based in Addis Ababa, was arrested under Ethiopia’s sweeping anti-terrorism law on September 14, 2011, after he published a column questioning the government’s claim that a number of journalists had been detained as suspected terrorists. Eskinder was found guilty of the charges against him and was sentenced on July 13, 2012, to 18 years in prison for violating anti-terrorism laws. He is one of Ethiopia’s leading advocates for freedom of expression and press freedom and was awarded the PEN/Barbara Goldsmith Freedom to Write Award in 2012. After serving almost 7 years of his sentence in Kaliti Prison, Eskinder was slated for release as part of a large-scale pardon of hundreds of jailed political prisoners, including a number of journalists, announced by Prime Minister Hailemariam Desalegn on February 8, 2018. He wrote the following statement shortly after his release from prison on February 14. FREE from chains! Thank you! Here I stand before you—my family, friends, fellow journalists and human rights activists, Ethiopians, the diaspora and international community—FREE from my chains, humbled by your perseverance and solidarity, and most of all, awed by the love, generosity and might of GOD. Be assured that we have cause to celebrate, for we have amply demonstrated, on the one hand, the potency of unarmed justice to triumph over armed injustice, and, on the other, highlighted that the cause of democracy anywhere is the cause of all democrats everywhere. For democracy is not relative to culture and history as too many well-meaning people have come to believe, nor it is, as all authoritarians insist, a sovereign issue to be pursued in isolation by each country. Rather, democracy is a universally applicable ideal which should be fought for as communism was once fought under the Comintern: a peaceful, militant, worldwide revolutionary movement dedicated to victory in all countries. Needless to say, our journey has yet to be complete. How long this journey will take no one knows. What we know for certain is what the immediate future holds for us: more hardship, more sacrifice, more tears, more imprisonment, exile and even death. But these are deprivations we shall bear with dignity and pride because of the promise which lies at the end: love and peace, justice and equality, tolerance and empathy and a closure, once and for all to oppression. In the quest for democracy, [that] humanity wages its last epic struggle to be part of this saga is not merely a moral imperative but also a privilege. The struggle not only receives from us but also gives us, in return, the self-transcendence which gives meaning to our lives. No worse a fate afflicts a person than merely live one’s life for one’s self. History is on our side. Justice is on our side. The people are on our side. And most crucially of all, GOD is on our side. What remains is only the enliching [sic] an assured victory.